If you think summer motorcycling fun is over just because September will soon be here, think again! The A.B.A.T.E. 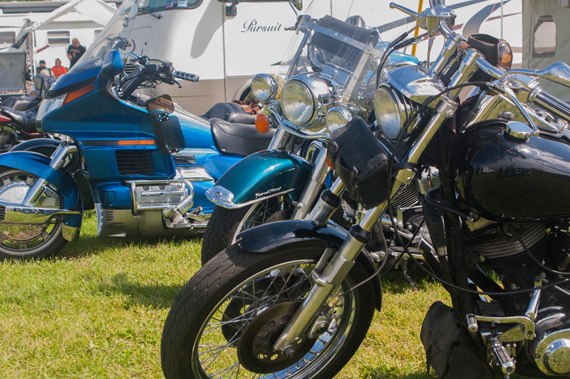 of Minnesota State Motorcycle Rally is just around the corner, and it’s one of the Midwest’s best venues for experiencing all the excitement that is a part of the motorcycling life. Bike games? Check. Bike shows? Yep, that too. Hot music? Of course! Guys in kilts? We even had that covered! That’s just a couple of hints at all this fun at this year’s American Bikers for Awareness, Training and Education (A.B.A.T.E.) of Minnesota’s State Motorcycle Rally you missed if you weren’t there. If you were, then you know what we’re talking about, and we promise to not post those photos of you backstage (you know who you are)! Sponsored by American Bikers for Awareness, Training and Education (A.B.A.T.E.) of Minnesota and with a three-day music lineup that culminates with the iconic British band Badfinger featuring Joey Molland, this Labor Day-weekend celebration embraces all things motorcycle. 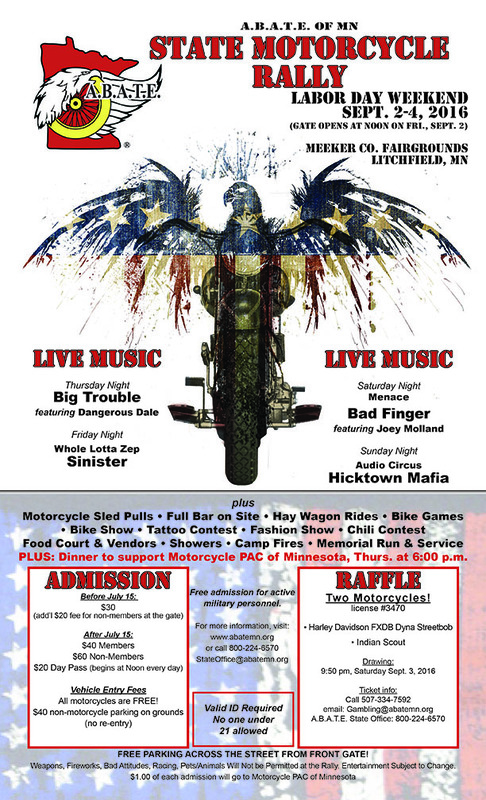 Bike games, memorial runs, bike show, motorcycle sled pulls, and tons of great food and vendors to satisfy your every craving make this event one you don’t want to miss.